Falcon 9 lifted off from Space Launch Complex 40 at 23:35 UTC on Friday, departing Florida’s space coast to lift the 5,300-Kilogram SES-9 communications satellite to orbit – maxing out the performance of the Falcon 9 Full Thrust vehicle and placing particularly tight margins on Falcon’s ambitious return to Earth. The first stage booster fired its nine Merlin 1D engines for two minutes and 38 seconds, handing off to the MVac engine of the second stage that fired twice – inserting the stack into a Parking Orbit ahead of a coast phase and a second burn that was programmed to burn through the entire propellant reserve of the second stage to lift SES-9 to as high an orbit as possible. 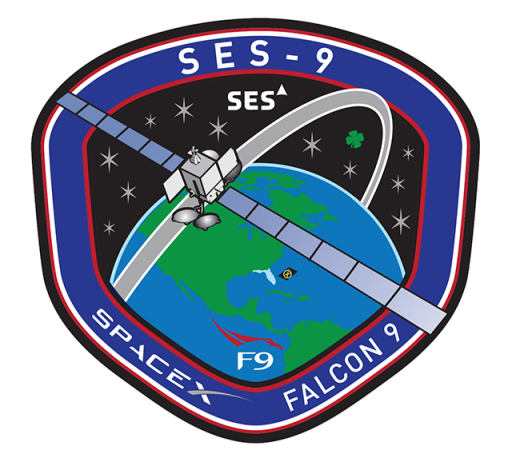 Falcon 9 exceeded expectations and gave SES-9 some additional energy, reaching an orbit of 335 by 40,600 Kilometers, higher than the pre-launch prediction. 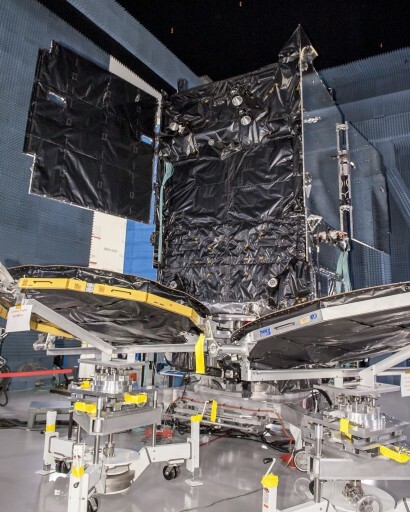 Because of the satellite’s launch mass and the high-energy orbit it was targeting, Falcon 9 needed almost its entire performance to lift the satellite and only had very limited fuel reserves on the first stage for its return. As a result, the return of the booster was the riskiest attempted to date, starting with a ballistic arc of the first stage which, unlike previous landing attempts, did not have the fuel necessary for a boost-back burn. Without the ability to limit its downrange travel distance via a boost-back or braking maneuver, the first stage was set for a landing 660 Kilometers from the launch site. Because of the booster’s high entry speed, there were some concerns that the vehicle would not even survive the high-energy re-entry. A re-entry burn of around 17 seconds was performed by the first stage using three of its engines to slow down and shield its aft section from the extreme aerodynamic forces of re-entry. Next was over a minute of atmospheric flight during which the booster made use of its actuated grid fins to guide itself towards the Drone Ship. The finale of the booster’s return was to be a daring landing burn using three engines to rapidly slow the stage down to come to rest on its four deployable landing legs. Normally, Falcon 9 burns only its Center Engine at landing, but the tight fuel margins of this mission required SpaceX to be creative and cut gravity losses by implementing an aggressive maneuver with three engines instead of a more gradual braking with a single Merlin 1D. 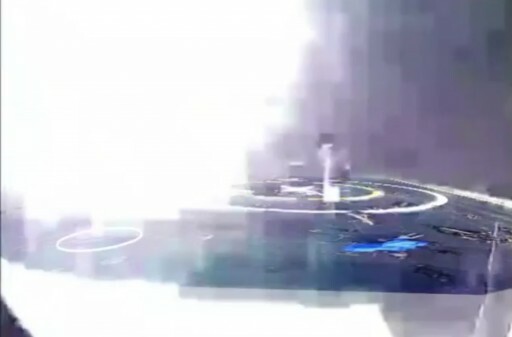 Live video from the Drone Ship appeared to show the booster coming in hot and heavy with signs of the exhaust from the engine impinging the ASDS deck. The last frames before video cut out showed the booster coming in off-center. 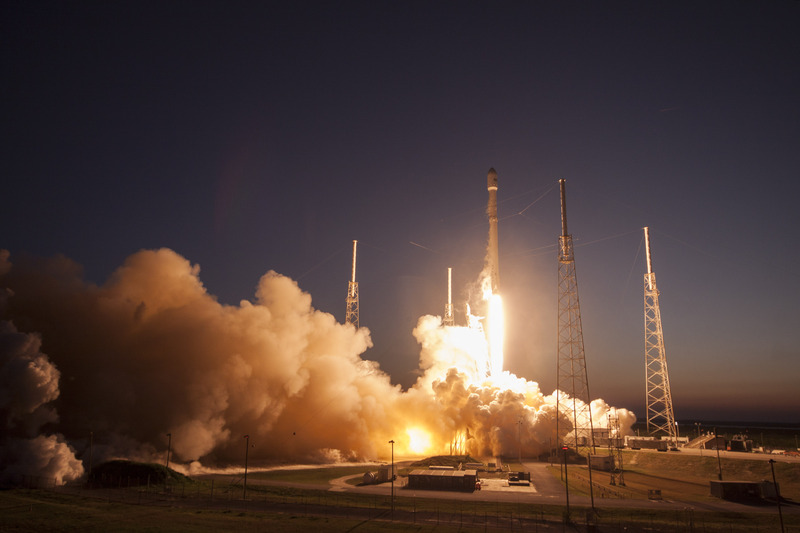 SpaceX CEO Elon Musk confirmed that the booster landed hard, as had been expected for this high-risk landing attempt. 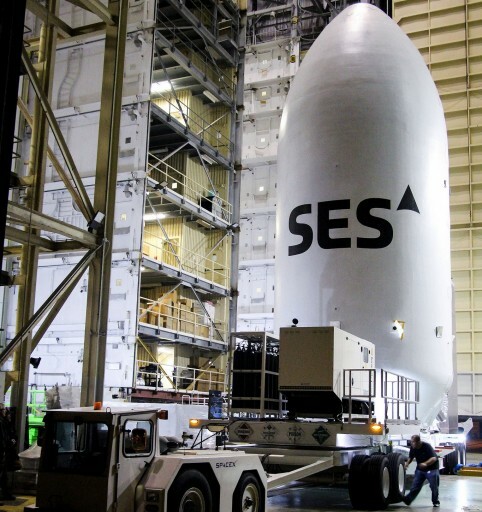 No further information was released by SpaceX but word quickly emerged that the ASDS had suffered damage. With no details on the extent of damage suffered by the ASDS, its return to shore was eagerly anticipated by the large SpaceX fanbase. 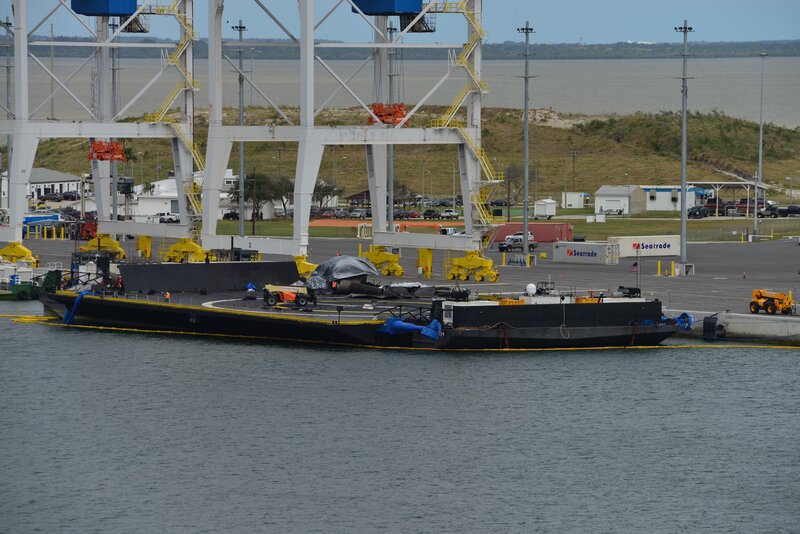 The ‘Of Course I Still Love You’ pulled into Port Canaveral on Tuesday and observers were ready with long-range cameras to document the state of the Drone Ship. 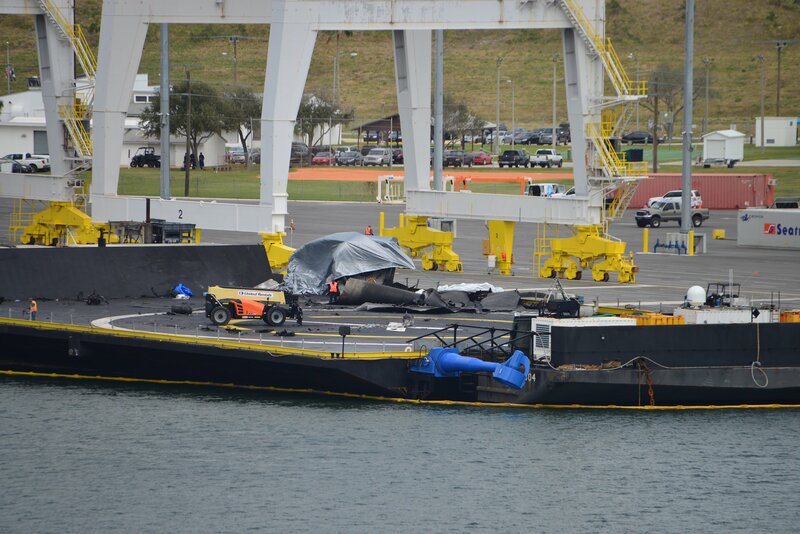 Photos of the ASDS arriving in port show plenty of debris scattered across the deck, also thrown over the blast walls on either side of the ship where equipment is housed in containers. An aerial shot shows a gaping hole in the steel deck surface, indicating that the Drone Ship’s latest encounter with Falcon 9 was of the violent kind. The hole in the rather thick steel would indicate that the Falcon 9 hit with considerable vertical velocity – either after running out of fuel and free-falling onto the Drone Ship or not being able to reduce vertical velocity in time given the aggressive landing burn design. Scattered across the ASDS are miscellaneous bits of launch vehicle skin, engine components and several mostly-intact pressure tanks. 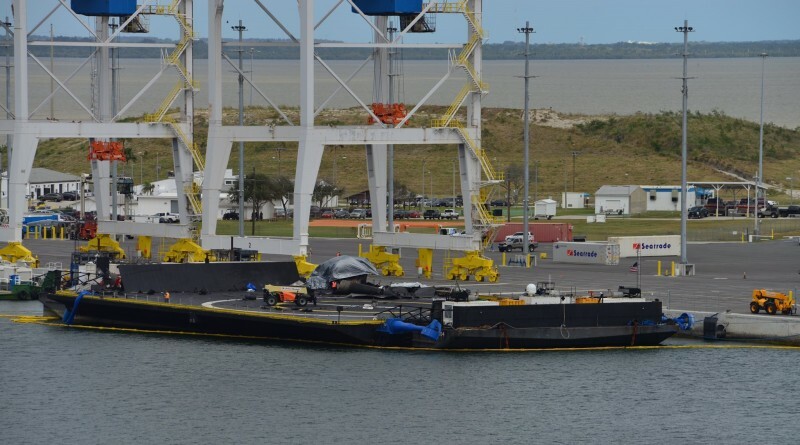 Whether repairs of the ASDS can be completed prior to its next assignment is not clear, though it is also not known which mission will be the next to use the Drone Ship. 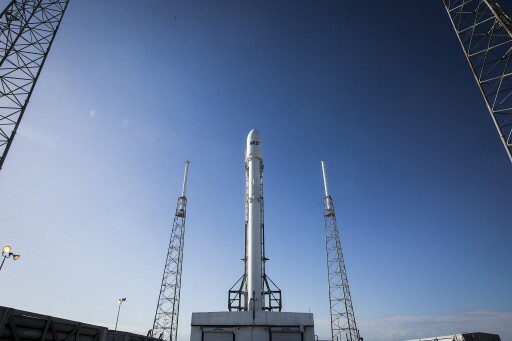 Musk said the next mission to land on the ASDS will have better odds, yet it was not clarified whether the upcoming Dragon SpX-8 launch would make a return to Launch Zone-1 at Cape Canaveral or again rely on the ASDS for the first stage landing.